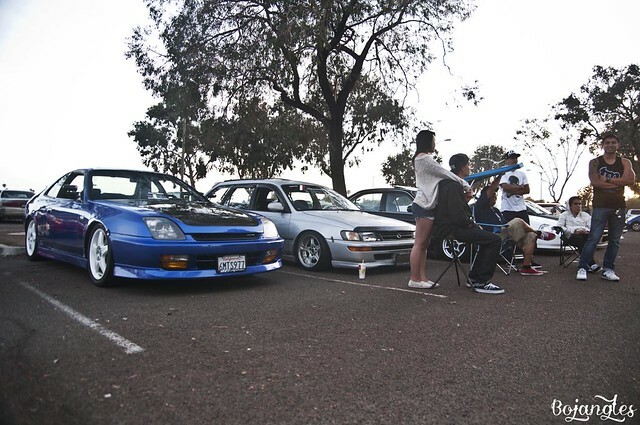 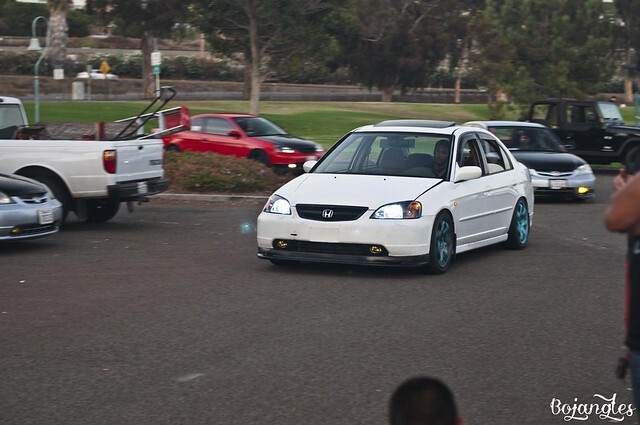 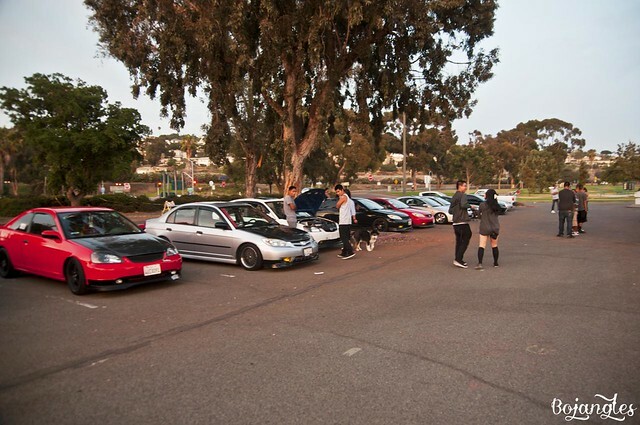 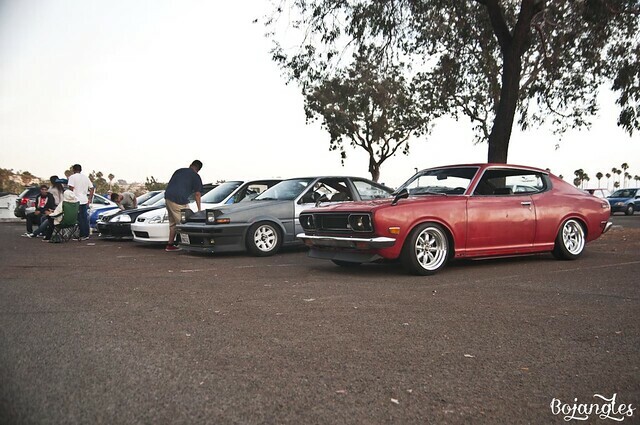 There was a local EM2 meet here in San Diego that Mike invited us to cruise out to and hangout. 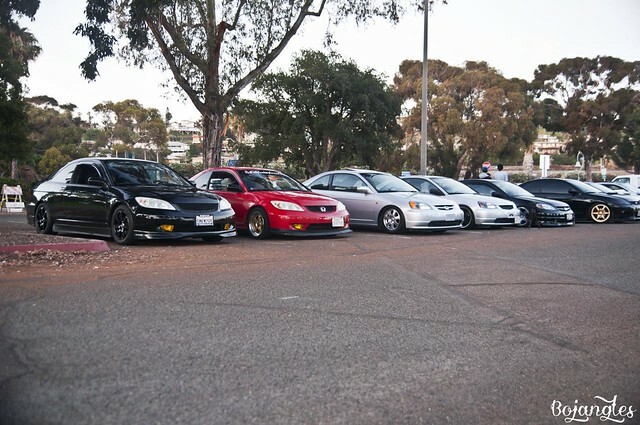 We got off work, cleaned out cars, and cruised down to the bay with some other friends. 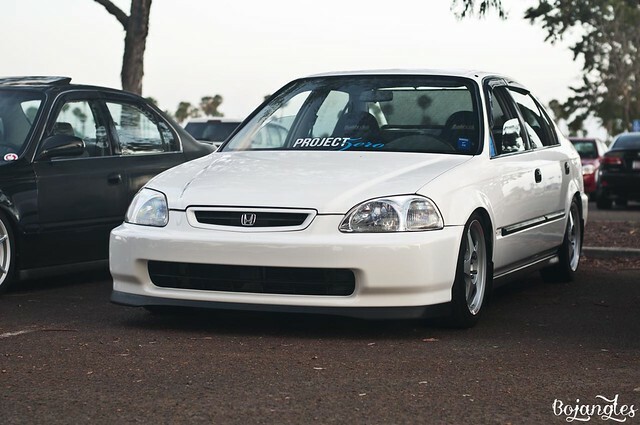 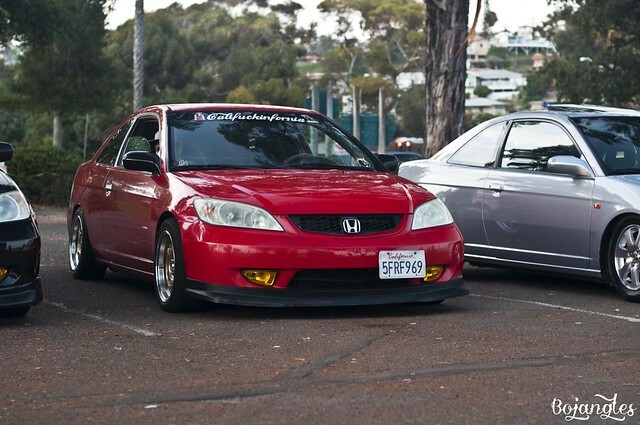 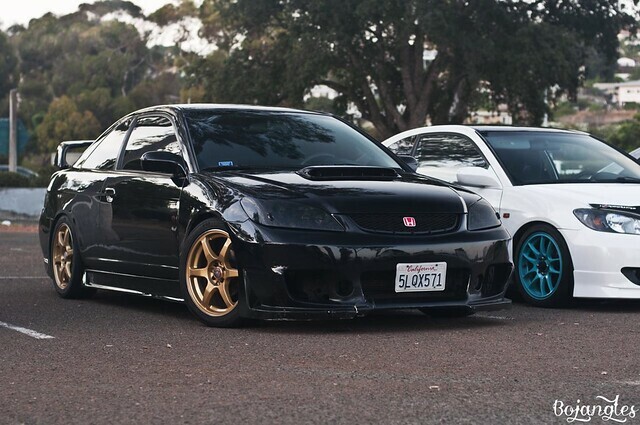 It was nice to see a group of 7th gen civics together since you rarely see many of them modified. 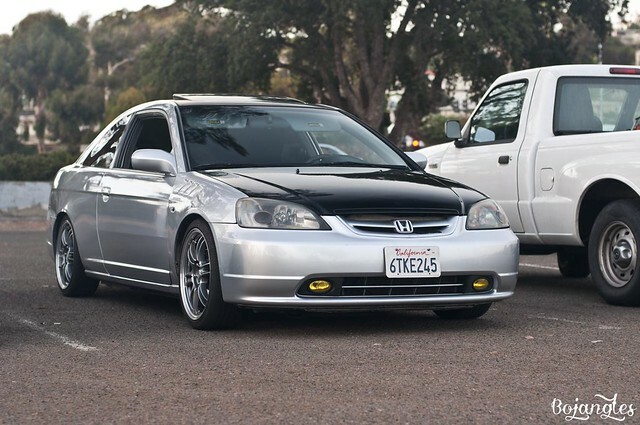 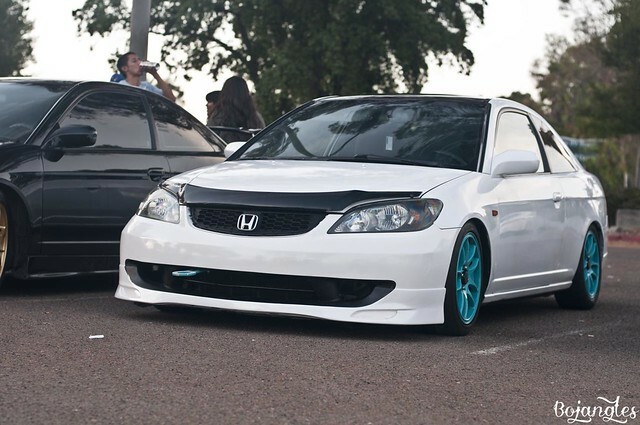 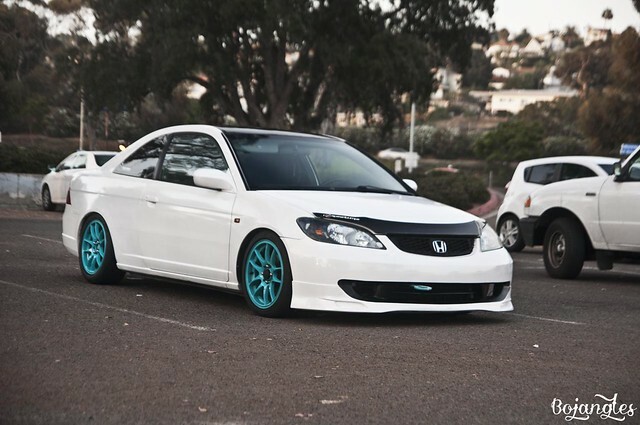 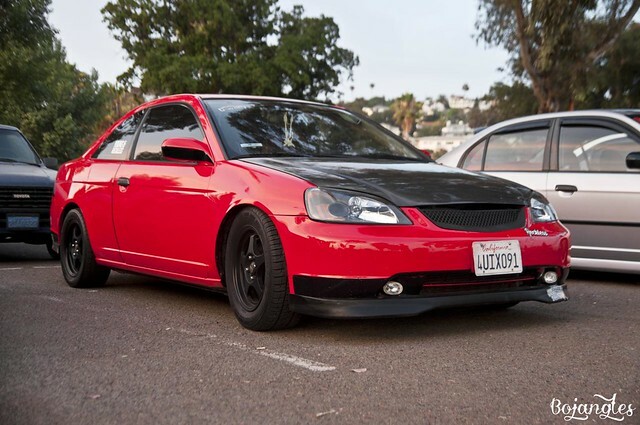 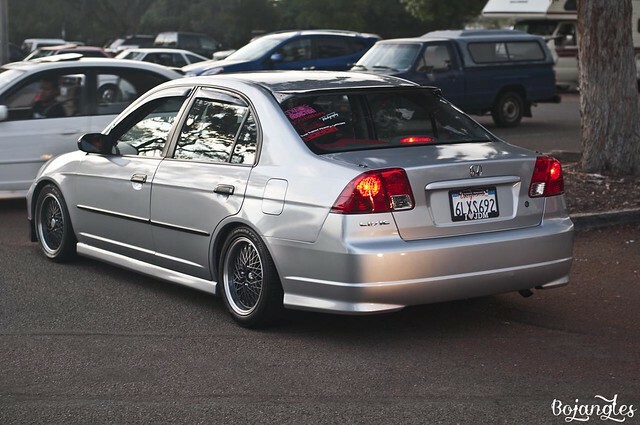 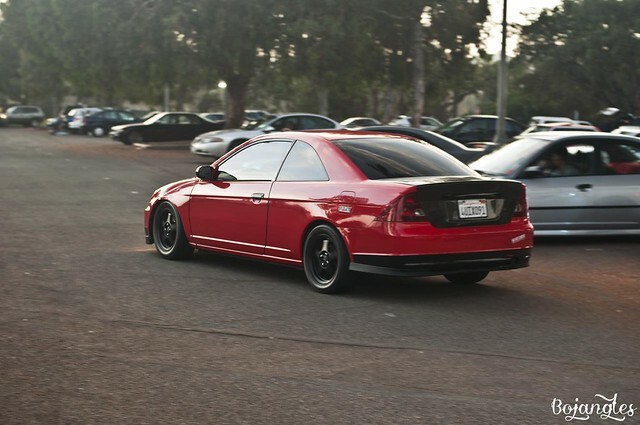 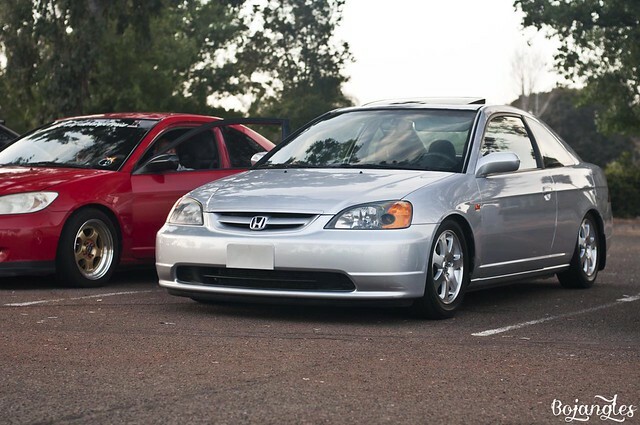 This civic had a 5 lug conversion on RSX wheels. 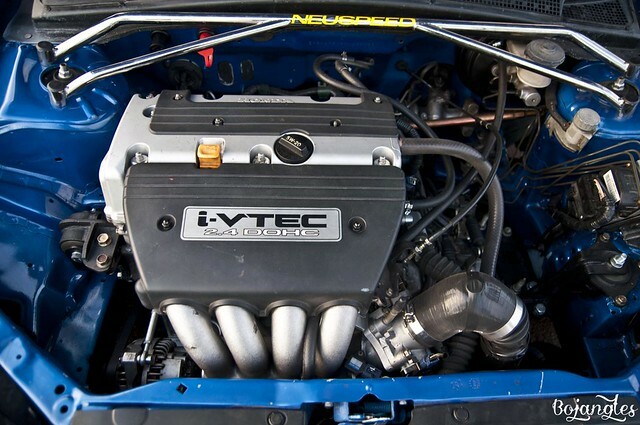 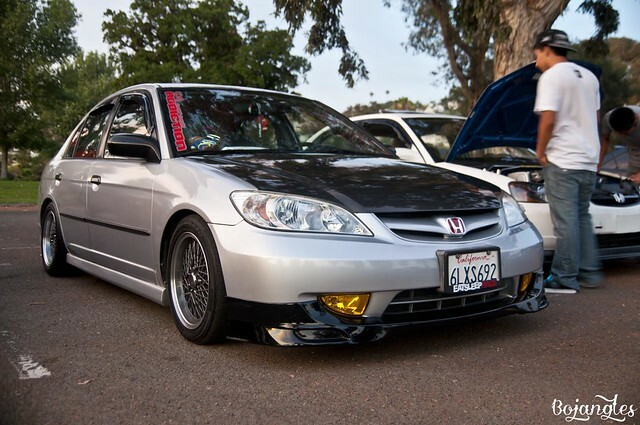 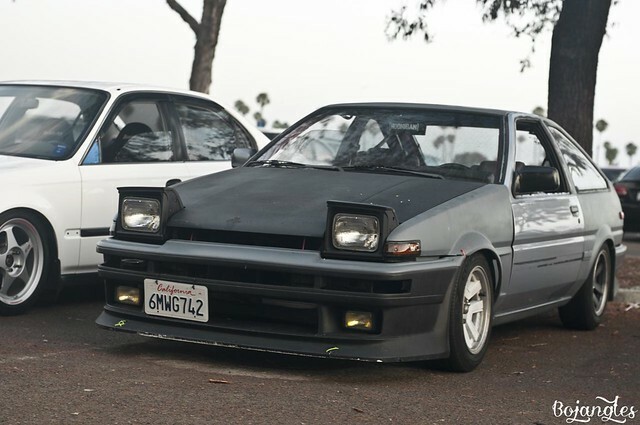 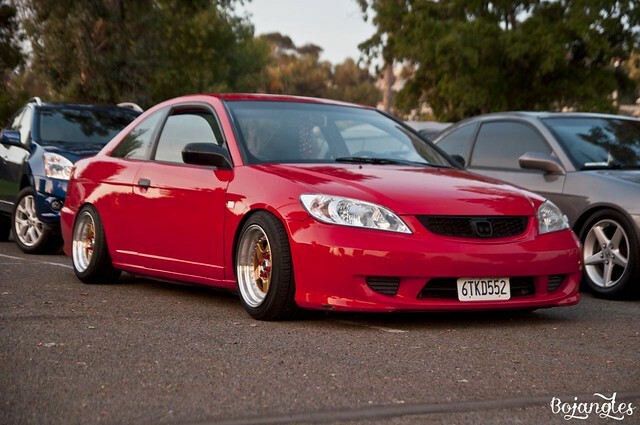 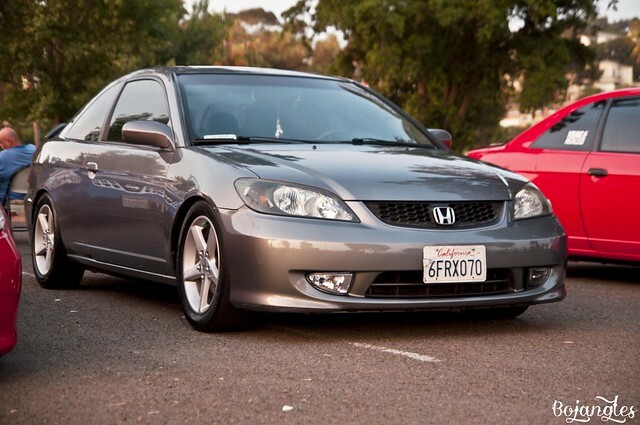 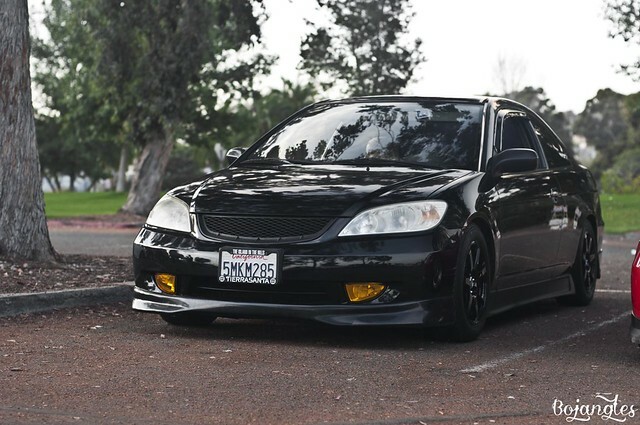 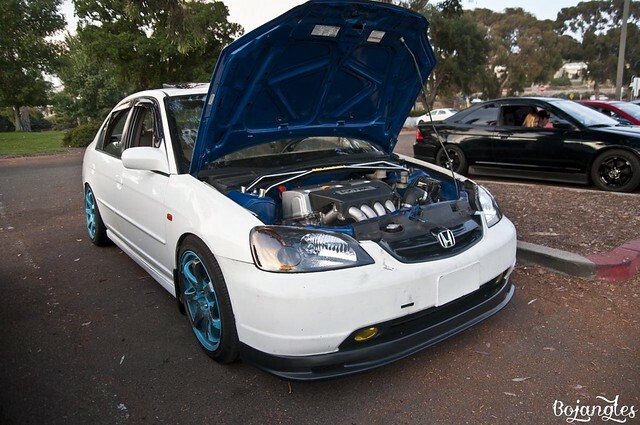 This ES1 has a K series swap in it, must be fun to drive!